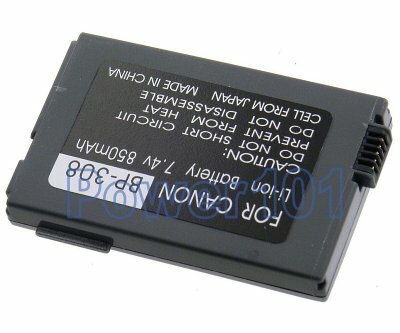 This battery is only compatible with Canon HV10, IXY DV M5, MVX4, MVX4I, and Optura 600 camcorders. Please check your camcorder with our camcorder battery finder. Please check BP-315 battery - it should deliver twice the runtime. 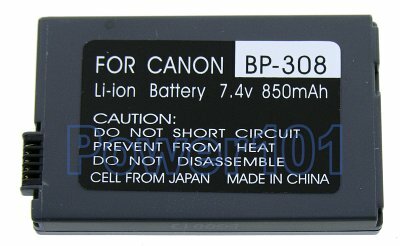 This battery can be charged with any charger compatible with Canon BP-308 batteries or directly on the camcorder.